this is a delightful drive by skywatch shot. this is the kind of cloudscape that would put a big smile on my face. Beautiful skies that do seem to go on forever! Terrific capture, Carver, wonderful composition! Hope you have a great weekend!! 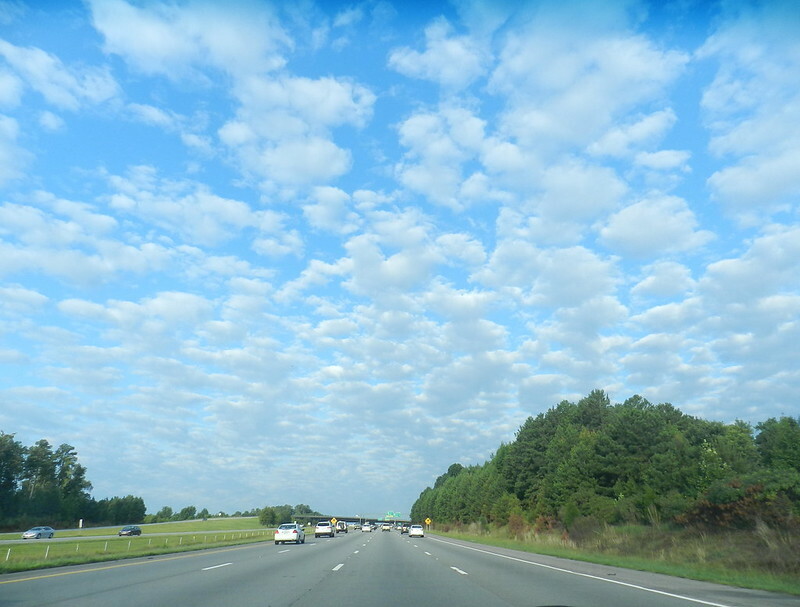 Wow, the clouds look like cotton balls...great shot! This is a charming drive to work. What a great sky! Perfect for driving! A lovely view of the beautiful sky, great capture! Happy Skywatching and have a great weekend! Love the composition of this shot! Great look for the morning drive.